Description - Tough mats are our most popular rubber mat solution and our ideal for home gyms, as exercise equipment mats, as semi portable exercise mats, and as general rubber gym mats. These rubber mats can be easily rolled up and stored when necessary as well as used as a more permanent rubber flooring solution by butting the mats together and using some generic double sided carpet tape around the borders to prevent the tough mats from sliding. These exercise mats are also safe to use both indoors and out and can be cut to size to fit your needs with a utility knife and straight edge. Material – Recycled rubber buffings and colored EPDM virgin rubber flecks. Recycled rubber buffing are the best recycled rubber material available and are used during production to ensure the highest quality rubber mats and floor products available. 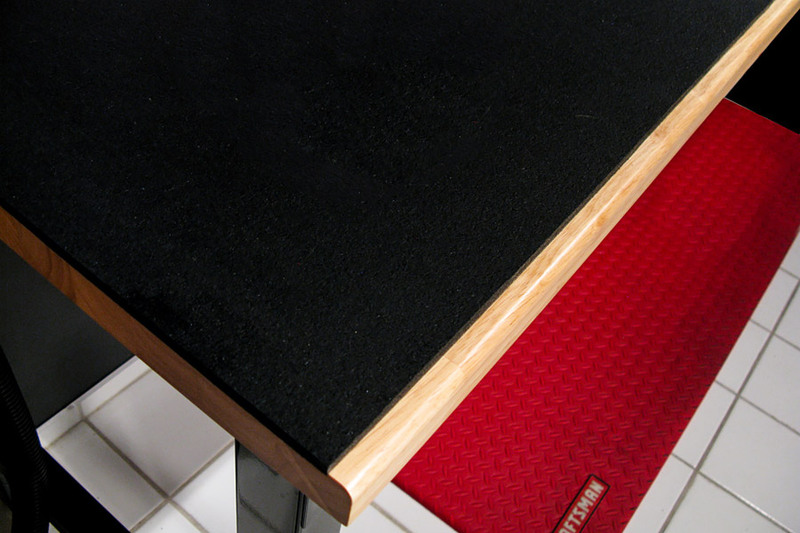 Weight – Each rubber extreme mat weighs approximately 60 Lbs. 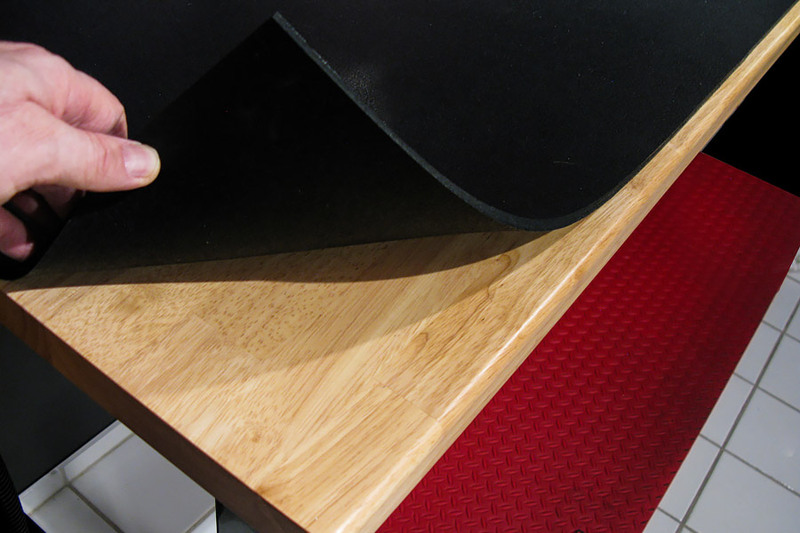 Recommended Uses – Tough mats are truly designed to be a multi use mat. These mats have been used successfully as gym mats, exercise equipment mats, and as fitness and yoga mats. These mats are also frequently used as portable floor protection in high traffic areas, as protection for floors from spiked shoes, and in any area where a shock absorbent floor mat would be helpful. I need to block the noise from the apartment downstairs. Usually voice and TV. What underlayment do you suggest? We offer a wide range of underlayments that would work great for your application. Our most popular underlayment thickness is our 5mm. This underlayment will provide you with and IIC rating of 60 and and STC rating of 53. This will help to reduce the amount of noise coming into your apartment. For further information about this underlayment and others, please visit our Underlayments page. Would this grip well on top of low-pile carpet? 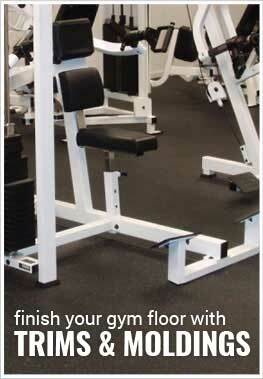 Our Tough Mats are fairly heavy and would stay in place over a low-pile carpet for most exercises. If for some reason the mat were to move, you can place some double-sided carpet tape under the mat to keep it in place. I am considering this product as a workout surface over my brand new carpet. Is there any chance the black mat will stain/discolor my new carpet? If you have light colored carpet, there is potential for our Tough Mats to stain the carpet. If you are concerned that the carpet will get stained by our rubber mats, we recommend placing a plastic sheet under the mat to keep it from doing so. Can the mats be cut to fit a specific area? 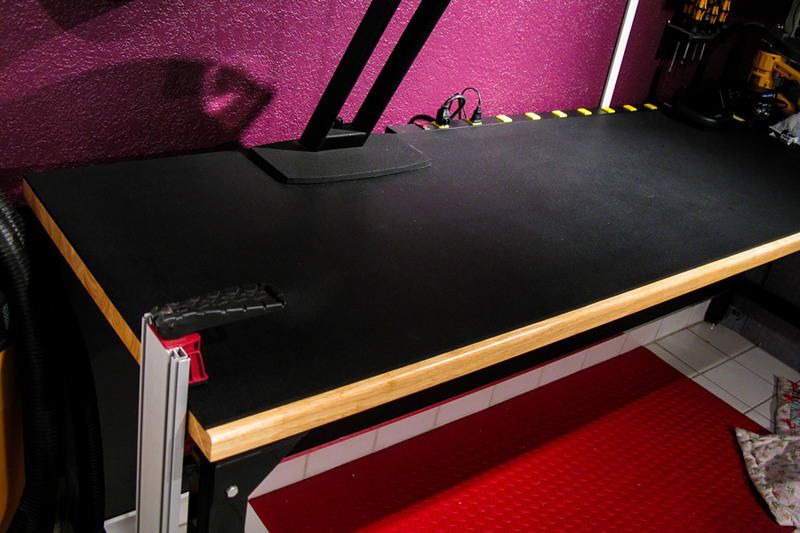 You can cut our Tough Mats to fit any space with a sharp utility knife and straight edge. Cutting these mats is like cutting butter with a warm butter knife. Would this stain wood laminate flooring? Our 1/4" 4' x 10' Tough Mats will not stain laminate flooring, but if you are still worried it might, we would recommend placing a plastic sheet between the floor and mat to keep the laminate protected. Makes a great Workbench Top! 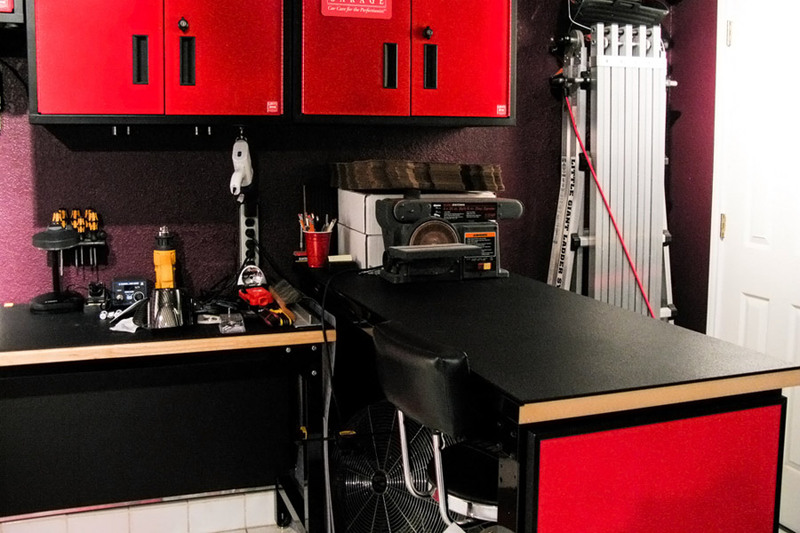 I have been scouring the Internet for years looking for a decent tough rubber material to use on workbench tops - can't believe that nobody sells a high-quality material pre-cut for that purpose. They installed this for flooring at my Gym, so I figured if it could stand up to that torture it could certainly protect my nice butcher-block workbenches from some hammer blows! Super-helpful rep handled my order! Mat was recevied on-time and was well-packaged. Price was good and the mat has worked out perfectly for the use I bought it (exercise equipment). Purchased this rubber flooring to try and match existing rubber flooring. The color I selected was not an exact match, but still looks nice. 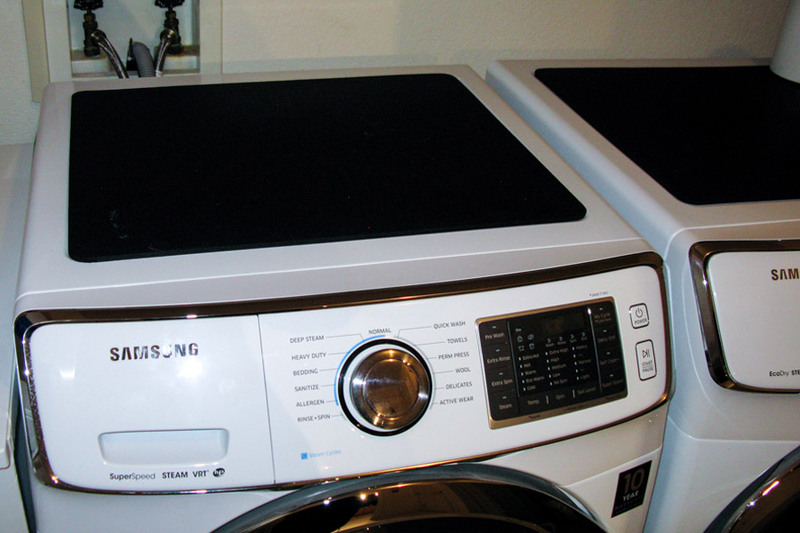 The product arrived in a reasonable amount of time and was very easy to install. It makes a huge difference from bare concrete! I bought this mat for my rabbit's habitat. I needed something that provided cushion, but that was also sturdy enough that he couldn't dig or chew through. I was able to (with a leather punching tool) poke small holes along the perimeter so I could zip tie his cage to the mat. It is easy to clean and wipe up and he can't destroy it. I have gone through several different types of flooring in his habitat, and though this is the most expensive single purchase, it has saved me money in the long run because I can tell I won't need to replace it for a long while. I wish I would have just started with this in the first place!